I recently went out driving in rural Maryland with my friend and fellow photographer, Irv. We were just driving around, going nowhere in particular, looking for something to shoot. I love to do this: to drive aimlessly, take a right turn or a left, depending on how a whim takes me. Some days, we find nothing. Other days, we strike gold. This was a golden day. Near the town of Jarrettsville, we happened upon a farm with two abandoned barns, strung along the edge of a lake. It being early January, the day was cold and bright, the earth bare and hard, the sky high and blue with streaky clouds, the lake frozen. These old barns were on the point of collapse, so we felt lucky that we had found them before they were no more. While many barns are constructed entirely of wood, both of these barns were built of brick at ground level, with a wooden upper level. 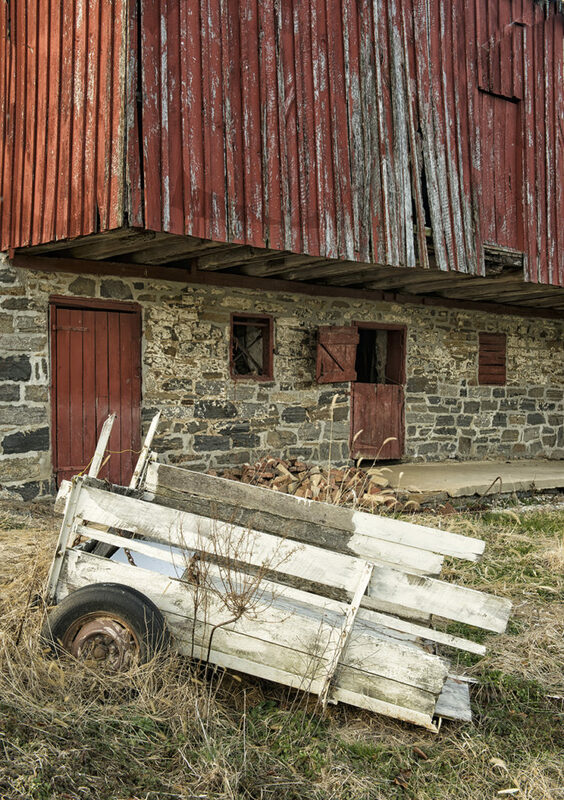 The design of these barns looked like a variation on the bank barn design, which is common in the northeastern United States. 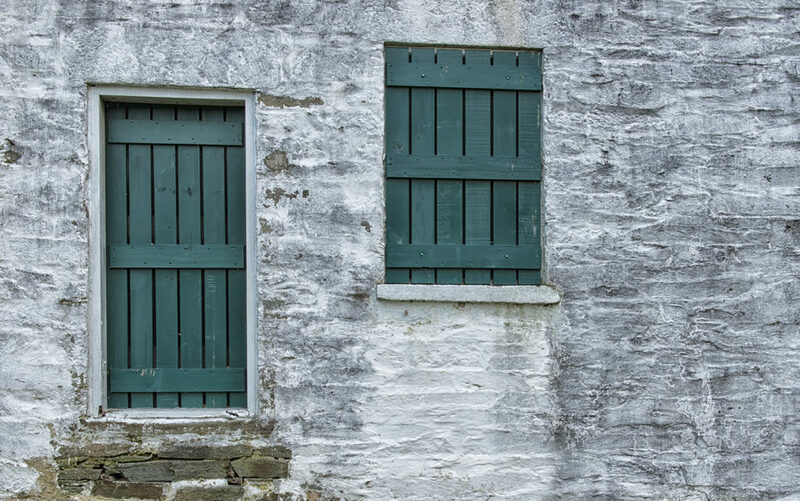 Bank barns, most of which were built in the 19th century, were dual-purpose structures, the lower level being used to house livestock and draught animals, while the upper level was used for grain storage and a threshing floor. The second floor was sometimes exended over the first to afford shelter to animals during harsh weather, as is the case with the larger of the two barns we photographed (second and third images). 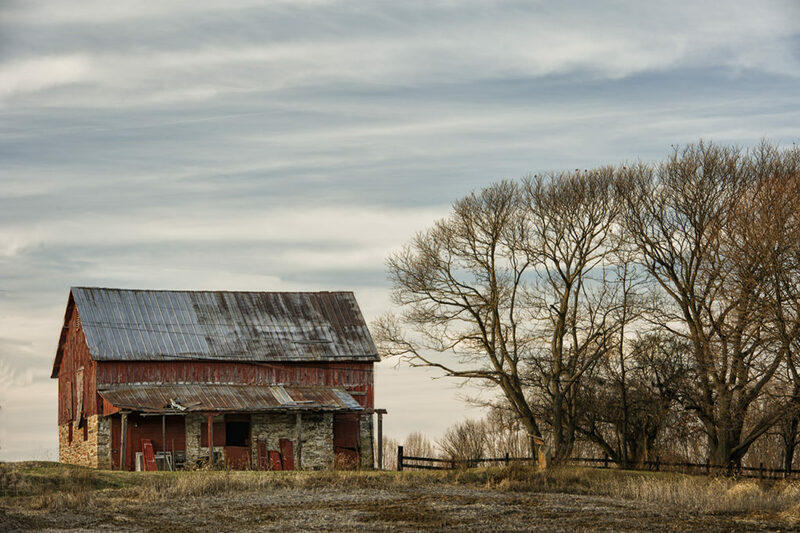 In the northeastern states, which see heavy snowfall in winter, bank barns were usually built with steeply gabled rooves, since the weight of snow can bring down a barn roof. Barns strike me as particular noble structures, still standing more than a century after they were built, standing out in the bare fields, turning a sturdy, unyielding face to the perpetual battering that they take from sun, rain, wind and snow. 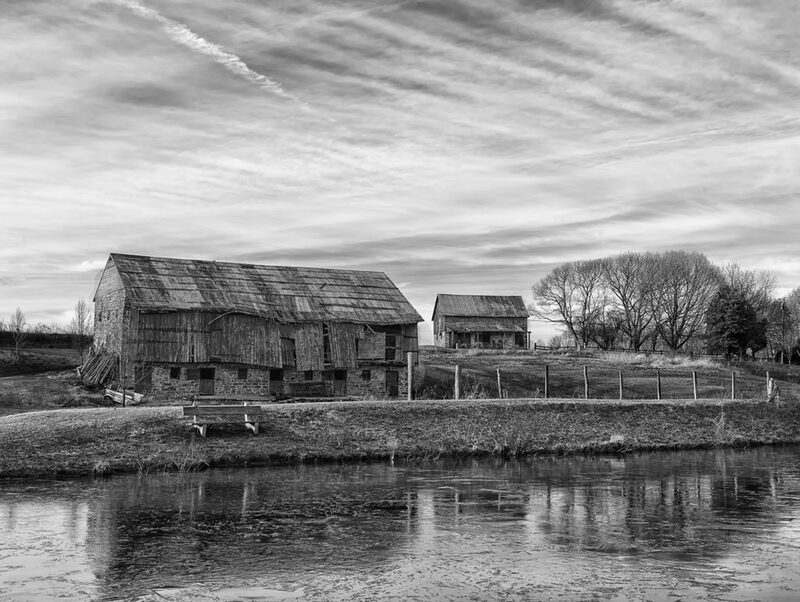 In my eyes, these old barns are not reduced by the bashing they take from the elements. On the contrary, they are strangely ennobled and dignified by their ability to endure through the years and the adversity which they face. 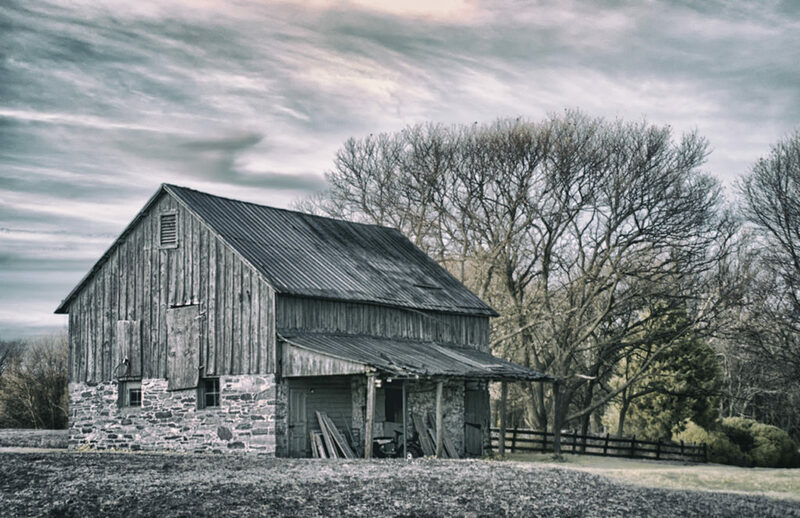 Barns are such iconic features of the rural American landscape that, when I see one, I always have to stop and admire it and take a few photos. I recently spent a morning, with my friends Irv and Steven, at the Washington National Cathedral. 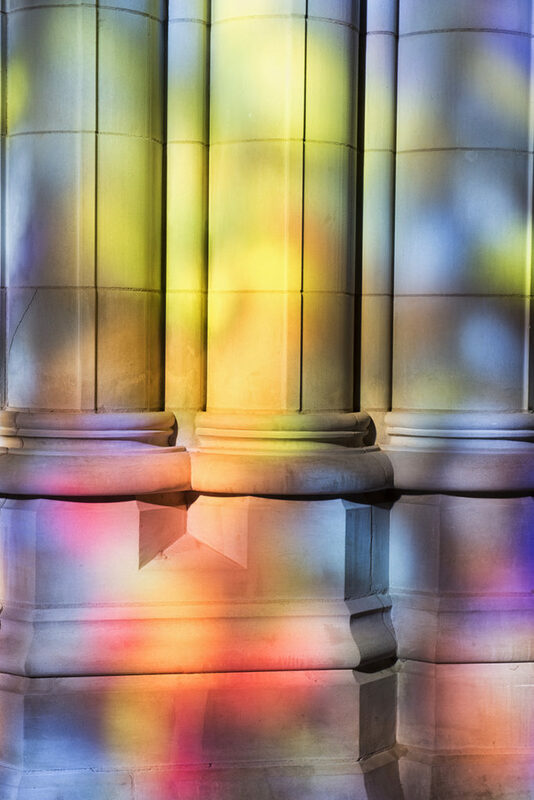 January is reported to be the best time of year to photograph this majestic building, as the bright winter sun is in the perfect position to cast the colours of the stained-glass windows on to the cathedral’s pillars and floor. Coming from Europe, where cathedrals date back a thousand years or more, I was surprised to learn that the National Cathedral was completed only in 1990. My friend Steven told me a fascinating story about the Italian stone carvers who had to be imported to cut the stones for the cathedral’s construction, as the necessary skills were unavailable in the USA. When construction began in 1907, with the laying of the foundation stone by President Theodore Roosevelt, not only the original stonecutters but also their sons were retained to work throughout the cathedral’s 83-year construction period. 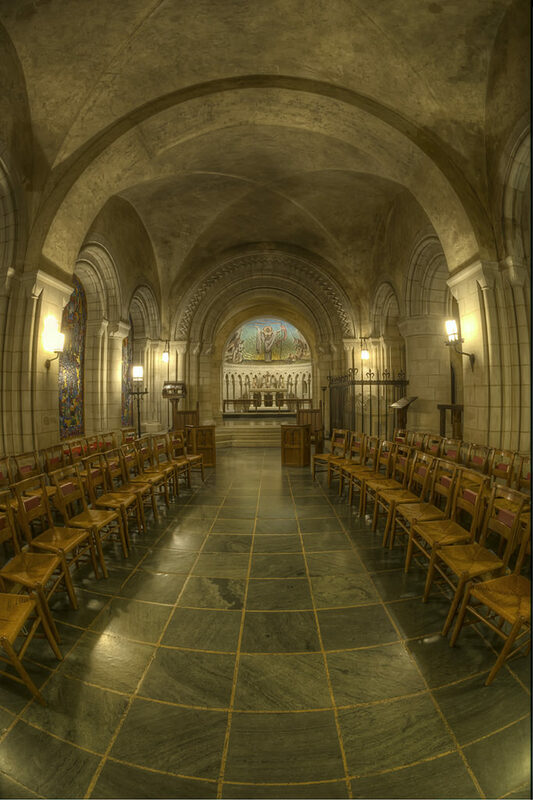 One of the Italian master carvers, Roger Morigi, a native of Milan, arrived in the USA in 1927, first working on the U.S. Supreme Court Building, before spending 28 years working on the National Cathedral. His works include the figure of Jesus Christ, that hangs over the main altar. Mr Morigi obviously had a sense of humour, as his likeness is immortalized in one of the gargoyles that adorns the building’s exterior. The gargoyle portrays Morigi as a devil, horns poking through his hat, his right foot shaped as a cloven hoof and he has a tail. In his hands, he holds a hammer and chisel: the tools of the stone carver’s trade. Mr. Morigi lived to see the completion of his master work in 1990, dying in 1995 in Hyattsville, Maryland. Another of the Italian imports, Vincent Palumbo, was born in 1936 in Molfetta, Italy where he began training as a stone carver at age 9, as an apprentice to his father, a master carver. 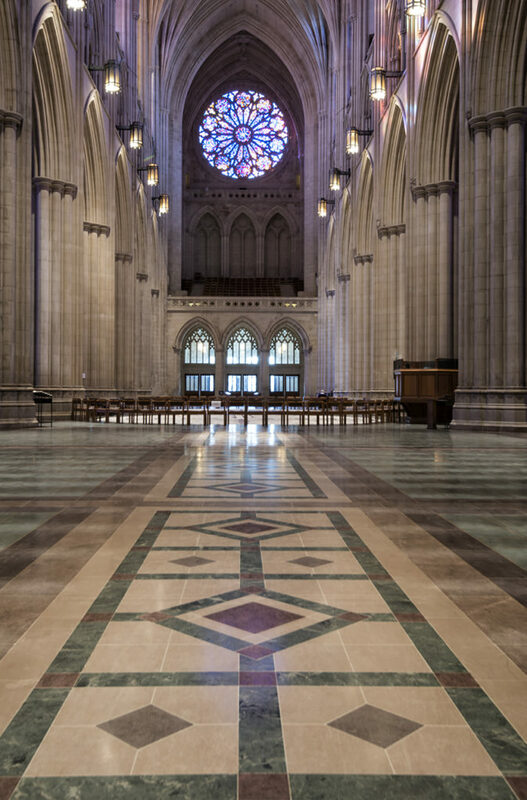 After Mr. Palumbo Senior came to the United States to work on the U.S. Capitol building, Vincent joined his father in 1961, following which father and son worked together on the National Cathedral. In 1978, the younger Palumbo replaced his compatriot Roger Morigi as the cathedral’s Master Carver. In addition to hundreds of carved gargoyles, pinnacles and saints, Vincent Palumbo’s skills can be admired in “The Creation” tympanum over the central portal of the cathedral’s west facade, the statues of Saint Peter and Saint Paul on the building’s west front and in the bust of Dr. Martin Luther King. 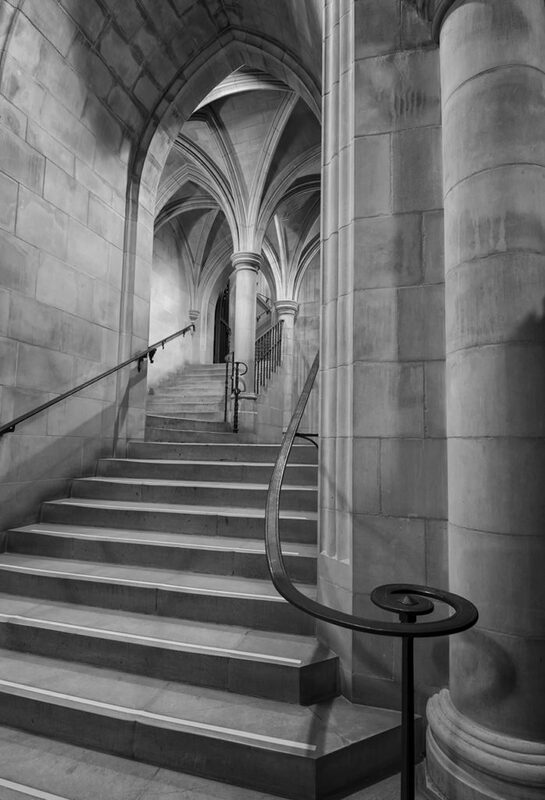 While the sheer scale of the cathedral is hugely impressive, as are its beauty and intricacy, as is always the case, it’s the stories of the people who built such grand public buildings which impress me the most. I drive by this pretty little lock keeper’s cottage every morning on my way to work. It stands next to Lock No. 11 on the Chesapeake & Ohio Canal. I’ve been meaning for years to stop and photograph it and finally managed to do so just last week. The cottage is so tiny that it is easy to miss, while driving along nearby Canal Road, which is my route into downtown Washington, DC. Some days, I spot the cottage; other days, I miss it, even though I’m looking out for it. So often have I looked for it and failed to find it that I had begun to wonder if it had some magical property: appearing one day, disappearing the next. 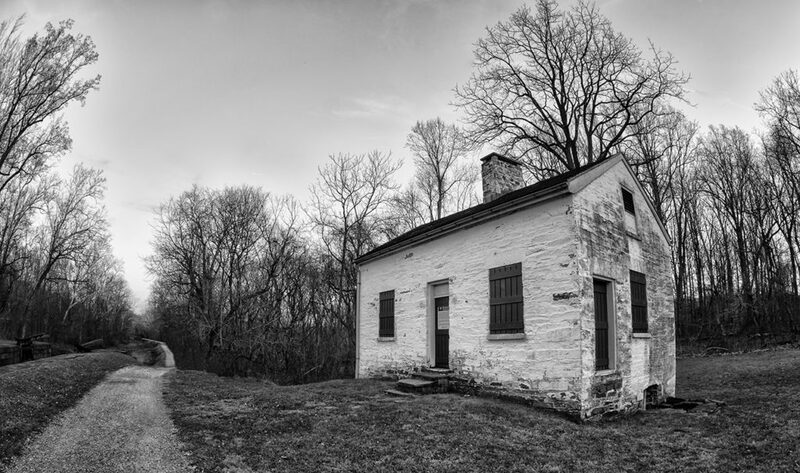 This lockhouse is one of fifty-three remaining on the C&O Canal. Most were built between 1828 and 1850. The lock keepers who lived in these small houses were required to “attend constantly and diligently by day and night” during the nine months of the season when boats passed along the canal, the waterway being ice-bound for three months of the year. The lock keeper’s tasks included not only operating the lock but also helping boats pass through, keeping the canal free of debris and carrying out minor repairs. 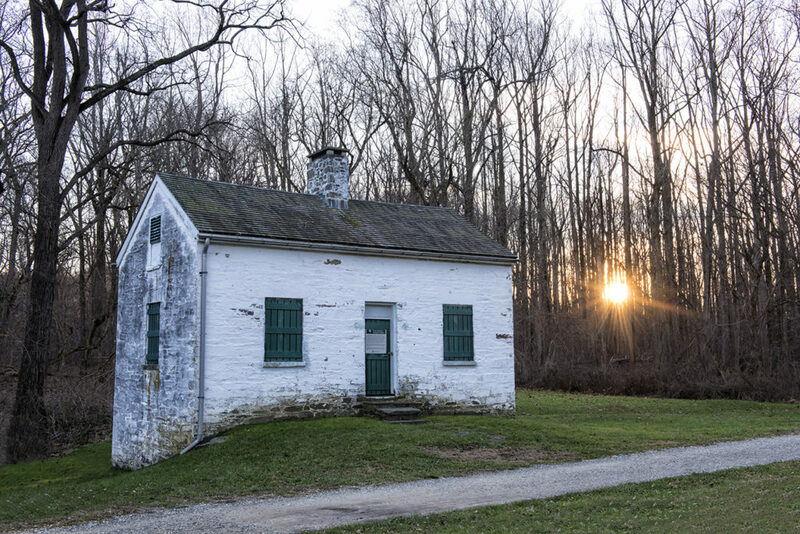 In the 1830s, the wage of a lock keeper was $150 a year, plus the use of the lockhouse and of an acre of adjacent land for a vegetable garden. 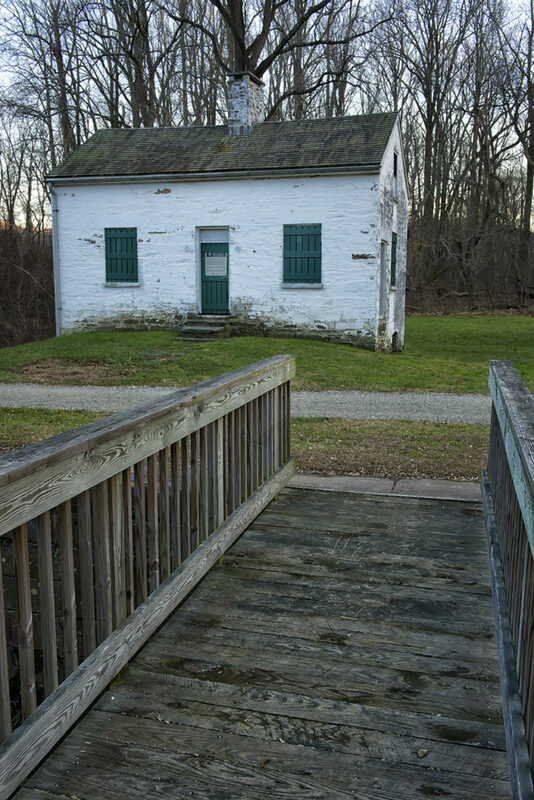 It was the policy of the C&O Canal Company to hire as lock-keepers “stable married me with large families”, so that the children could lend a hand in the operation of the lock. In 1835, the company made an exception to this policy to permit Mrs. Elizabeth Burgess, the widow of the previous lock keeper, to assume the position of keeper of this lock No. 11. The company granted the exception with the caveat, “provided that she hire a capable assistant”. So, every morning, when I drive to work, I drive past a little piece of the history of feminism in America. I suppose it’s natural, on the first day of a new year, to look back at the year gone by and reflect on what we have accomplished. Looking back on the photography I’ve done in the past twelve months, I wouldn’t say I’ve made any discernible improvements in my technical ability as a photographer. With rare exceptions, I seem to have stayed within the bounds of what I already knew. Artistically, I have tried a few new creative approaches, particularly long exposures and creative blurs. 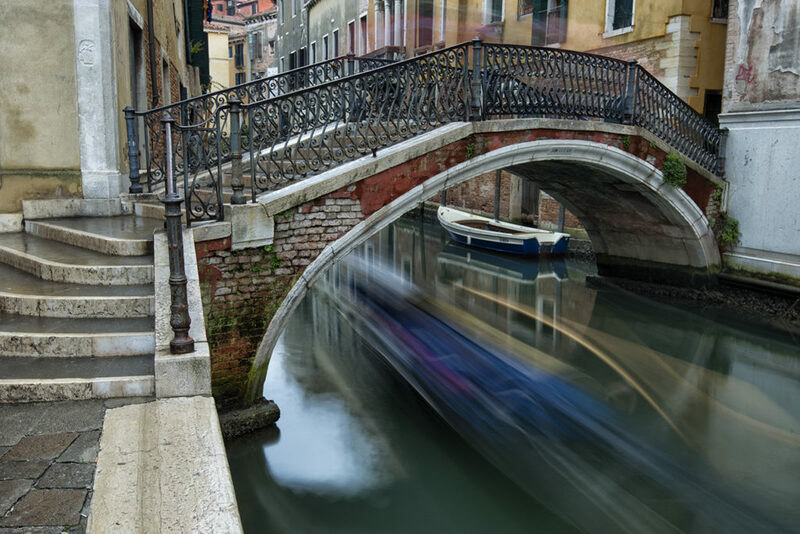 The lead image, which was taken in Venice in October, is an example of the use of creative blur, using a slow shutter speed to blur movement of a gondola passing under one of the city’s many picturesque bridges in order to impart a dreamy, ethereal feeling of this incomparable city’s romantic heart. 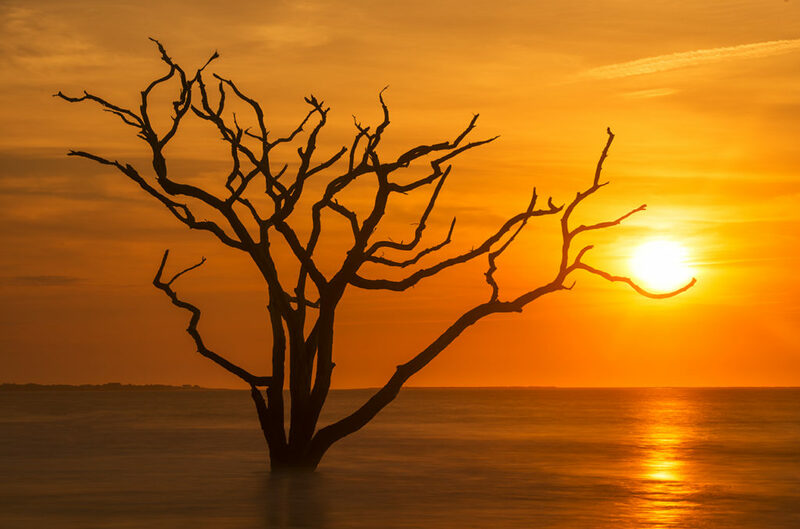 The second image was taken on the beach at Botany Bay in Edisto Island, South Carolina in April. This photo was a stretch for me technically because I am normally fastidious about correct exposure and avidly scrutinize the red, green and blue channels of the histogram of every image I take to ensure it is correctly exposed. In this case, I had to accept that there was no way I could save the highlights in the blazing ball of the rising sun: the histogram is blown to smithereens on the highlights side. But, know what? I’m really glad I abandoned my own normally strict rule about correct exposure and allowed the demands of the image to override all technical considerations. Yes, the image is technically flawed, but I am very pleased with it. This past year, I have continued to shoot infrared (IR), in both 720 nanometer (nm) and 590nm wavelengths. The former, I use mainly for producing black and white IR images and the latter I use mostly for producing faux colour. The third image, which was taken during a trip to the Peak District of England in October, is one of my more successful B&W IR images, I think. I was happy with the delicate texture in the trees, the way they seem to be facing the sun, as sunflowers do, and the impression the image imparts that the sunlight is streaming down the bank of clouds to strike the grove of trees. 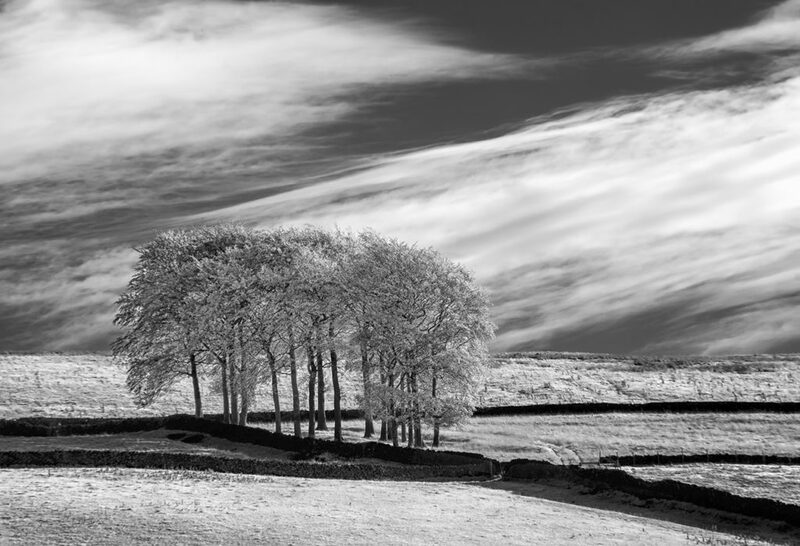 When I posted this image in the Peak District Photography Group on Facebook, I got an overwhelming response from local photographers and residents of the area, who loved the image and know this clump of trees intimately. It is called “Twenty Trees” and it stands in a field above the hamlet of Hayfield in Derbyshire. I loved the Peak District and hope to return to photograph there again, next time I am in England. The fourth image, I’m a little ashamed to admit, was staged. This is a good example of what professional photographers call “working the scene”. 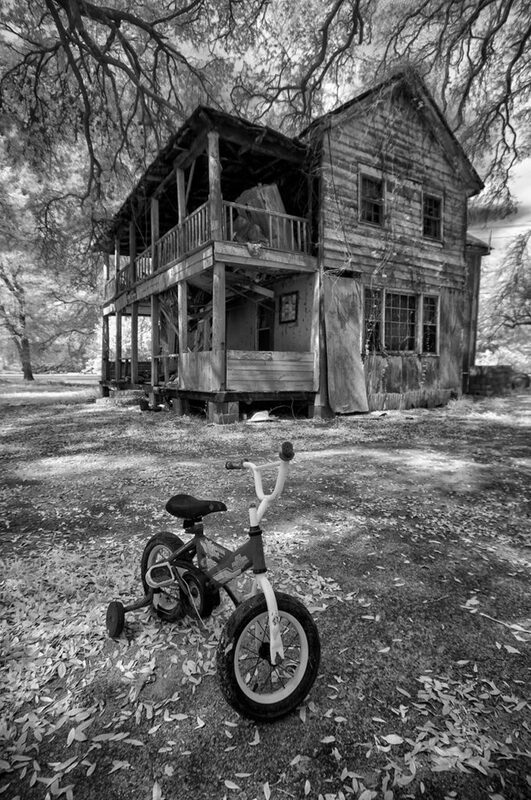 I spotted this abandoned house while driving along a road in South Carolina, stopped to shoot it, found the abandoned child’s tricycle nearby on the same plot of land and placed it in the scene in order to create an implied narrative about a little boy or girl who once lived in this house and once rode this tricycle. It is, I fancy, a tale of happiness lost. But it’s only a tale. A mirage created by the camera. But what the hell! Now and again I allow myself a little creative license. 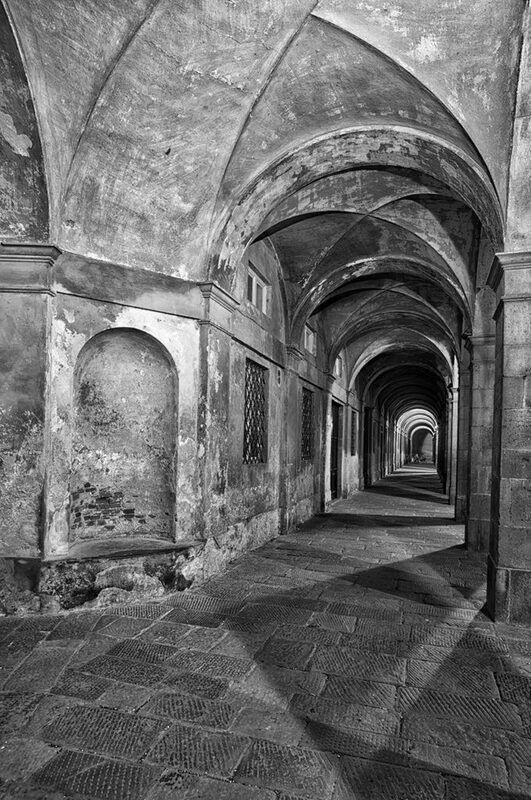 The fifth image was taken in the pretty little Tuscan town of Lucca. Shot at night with a long exposure, this photo benefited from the fortuitous passage of cars on a nearby street, whose headlights created an interesting tapestry of light and shadow on the sidewalk. The sixth and final image is the one which pleases me the most. I travelled to the remote Black Valley of Count Kerry, Ireland with the specific purpose of finding and photographing this little abandoned farmhouse on a hillside in the most godforsaken part of my home country. 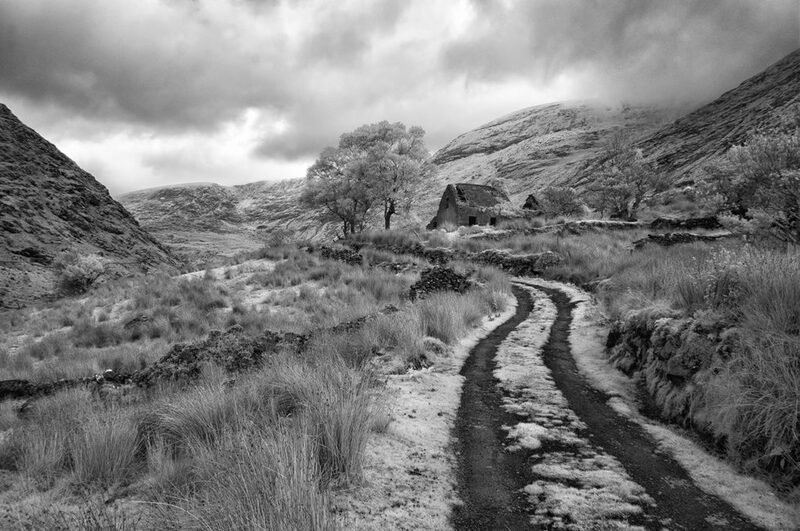 Some of my earliest childhood memories are of times when, as a boy of five or six, I visited remote farmhouses just like this, in the bleak, windswept countryside along the border between County Tryone and County Donegal, between the United Kingdom and the Republic of Ireland. I went with my father to visit his elderly uncle or with my Uncle Charlie Gallagher to visit his cousins near Pettigo. I remember long climbs up unpaved country lanes, stepping stones across fast-flowing, ice-cold streams, marshy fields full of rocks and bullrushes, thatched rooves, black-bottomed kettles in which water was boiled over a peat fire to make a cup of tea to welcome visitors. To think that, just two generations ago, my relatives lived in houses like this, in locations just as remote, makes me shake my head in wonder. Of all the photographs I have created in 2014, this image of the little, abandoned farmhouse in the Black Valley of County Kerry means the most to me.